Phifer UltraVue Invisible Fiberglass Screening is Manufactured by the Best Known and Respected Company in the Window Screening Business. 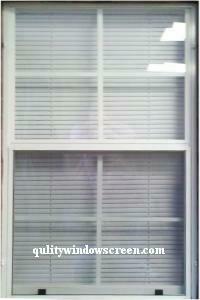 Excellent Clarity and Improved Airflow all in one Window Screen. Available in the Popular Charcoal Color for Enhanced Outward Visibility. Easy Installation Similar to regular Insect Screen. The Picture has UltraVue on the Bottom Half Only to Demonstrate the Clarity. If Used on Patios and Porches, a Splining System such as the ScreenEze or ScreenTight Product is Recommended. Totally Satisified With My Screen Purchase. Great Pricing and Delivery Service Was Spot On ! Advantages: I Purchased The "Ultra View" Screen Product. This Screen Really Does Live Up To It's Name, "Ultra View" !! I Screened In An Entire Porch and You Actually Have To Touch The Screen To Know It Is There ! Advantages: They look as if there is not a screen on the window when. Unfortunately our experience was less than timely. I was notified after placing the order that it was out of stock and given a new delivery date that did not hold. Best tasting screen I have ever purchased. It's less filling, too. I just can't get over what a difference this screen makes! Granted, my screens must have been ancient- I bought this material, and took the screens to a window place to be re-screened. I actually looked out the window, and had to get closer, to see that there was actually a screen in there! Wow! I live that! Advantages: Incredibly clear view- just a huge difference! Disadvantages: I dont know - I guess it's a little pricey, but worth it, to me! Great visibility and easy to work with. Quality Screen offered the screening material I was looking for, at a reasonable price. Not as clear as I expected. These were great and fit just like screens that come with your windows. Quality is great. Would highly recommend.